Maserati Coupe The History book by Jurgen Lewandowski. 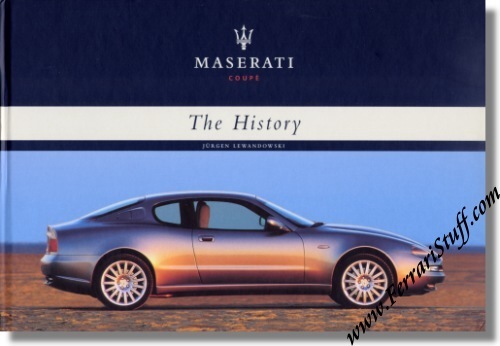 136 Page, hard cover, book detailing background and technical specifications of all the Maserati Coupe models from 1946 to 2003. Maserati print number: 920000655, issued in 2003.